It’s curious that Blumenfeld calls this a discovery, when anyone capable of reading German could tell you that Stirner never used the word “ego” in his book, only “egoist” and “egoism.” The confused picture of Stirner as a philosopher of “the ego” mostly stems from the mistranslation of Der Einzige und Sein Eigentum into English as The Ego and its Own. Blumenfeld acknowledges the mistranslation (unfortunately the majority of his book was written before Wolfi Landstreicher’s new, much more accurate translation became available), but continues to make references to the ego throughout the text anyway. This “discovery” highlights what is by far one of the most frustrating things about Blumenfeld’s book: his habit of writing as if he’s being heretically original even if he’s only saying what people interested in Stirner have been saying since at least the 1990s and very likely earlier. For instance, later in the book he spends a few pages hemming and hawing about whether Stirner actually believed in Hegel’s racial (and racist) philosophy of history or was parodying it, eventually ruling in favor of the latter, calling it one of Stirner’s “allegories.” I feel that this should be obvious to anyone familiar with Stirner’s background or the decent secondary literature. Even if this is simply a stylistic choice, it’s tiring, and undermines the genuinely original aspects of Blumenfeld’s work. Blumenfeld wishes, very appropriately, to consume and, he says, desecrate Stirner. He spends the remainder of the chapter examining how exactly to go about this, proposing “translations” of typical Stirnerian terms. For example, he brilliantly glosses property as expropriation and unique as nonidentical. Less successfully, he equates ownness with responsibility, which is fairly nonsensical, and union with commune, an interpretation he owes to the heavy influence of The Invisible Committee, one I would only be prepared to accept with some extremely careful qualifications. The next chapter explores the structure and logic of Stirner’s work, particularly Stirner’s use of triads and subtriads to organize his arguments; in effect, using Hegelian structures in order to advance his own anti- or post-Hegelian point. Something that is a major strength for the entire text but that is particularly useful here: the original German words are often printed in brackets next to their English translations, which helps readers see how how Stirner exploited words with related etymologies or formal similarities to make points. In the third and longest chapter, “My Stirner,” the author gives his own reading of Stirner’s text, “articulated not in the order Stirner himself laid out, but as I reconstruct it through the text, perhaps even despite it.” The sections elucidating key aspects of Stirner’s thought such as ownness, property, union, and insurrection are Blumenfeld at his strongest and a genuine joy to read. These alone would make the book worth reading, and I prefer to let them speak for themselves rather than to spend a large portion of this review dissecting them. Even where the occasional lapse in rigor (or gratuitous quote from a David Lynch movie) shines through, it’s not enough to be very distracting. Unfortunately, his attempts to put Stirner in a dialogue with other thinkers are also scattered throughout this chapter, drawing all-too-often tenuous connections between Stirner and Spinoza, Nietzsche, Heidegger, Foucault, Levinas, and Gustav Landauer. In the introduction, he says that he does this in order to “sharpen the argument,” but most of these digressions, in my opinion, confuse more than they clarify. The two strongpoints are the sections on Spinoza and Nietzsche. Blumenfeld uses Spinoza, mentioned earlier as a practical and ethical philosopher in the same vein as Stirner, in an attempt to show that Stirner’s “individualism” is “an ontological statement about what there is, not a moral statement about individual persons.” Spinoza, says Blumenfeld, helps divorce the meaning of singular from the meaning of individual by tying the meaning of singular – the identity of an individual – to action and effect. “An individual does not have an identity except in its relation to a series of causes and effects which are determined by other individuals, which themselves have no identity except in their relation to a series of causes and effects, and so on ad infinitum…. 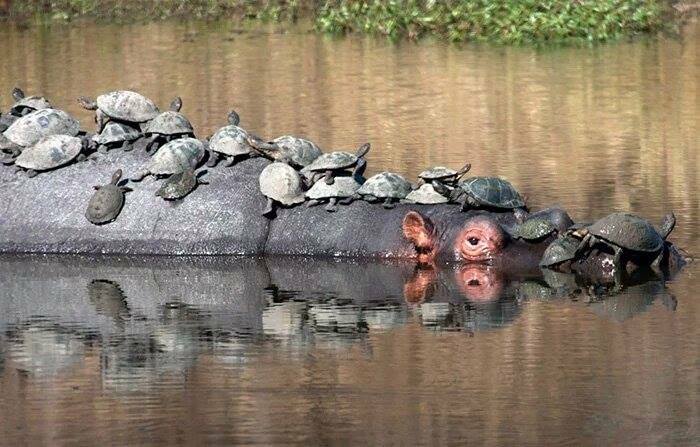 How can many things be one individual, and how can many individuals be a singular thing? Through their composition in forming a single effect, whether or not their individual causes are completely different.” This “dialogue” between Stirner and Spinoza produces something fresh and useful. 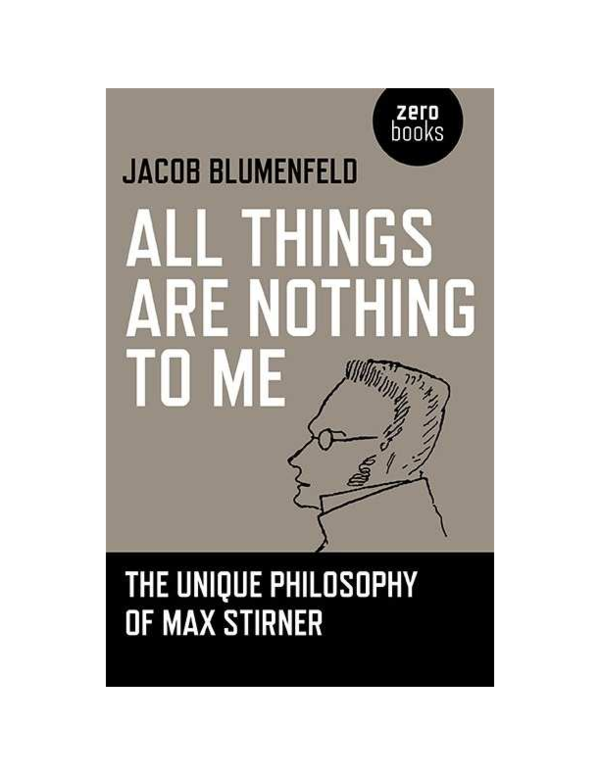 Oddly, with the exception of Landauer and possibly Foucault, Blumenfeld makes no effort in these digressions to explore the impact of Stirner’s thought on those influenced by him more directly and explicitly. Blumenfeld presents Landauer’s anarchism as some sort of hodgepodge of Stirner and the Kabbalah, which he regards as essential to understanding Landauer, even though the article he quotes, “Anarchic Thoughts on Anarchism,” was published long before Landauer expressed any interest in Kabbalah. He goes on to say that for Landauer, demanding, wanting, hoping for new forms of freedom (as opposed to acting and doing) was “too Christian.” This would have surprised Landauer, whose writings are filled with references to Christianity; he was heavily influenced by figures in the Christian mystical tradition such as Meister Eckhart. Blumenfeld goes on to quote Landauer’s declaration that an anarchist is someone who realizes “the way to Heaven is narrow,” which is taken from an esoteric reading of the Gospel of Matthew. Landauer’s eventual break with Stirner goes unmentioned, as does Nietzsche’s significant influence. Blumenfeld also seems to treat Landauer’s anarchism as synonymous with communism, even though Landauer was not a communist. Bearing all this heavily in mind, Blumenfeld’s treatment of Landauer’s views still make the section worth reading. It at least partially succeeds in showing us ways to “consume Stirner without letting his thinking get stale.” The misrepresentations, however, make me wonder if Blumenfeld has done the same thing to the other thinkers explored throughout the chapter, especially the ones I’m less familiar with. Blumenfeld concludes his book by putting Stirner in a dialogue with Karl Marx, usually treated as the main villain of Stirner’s story even though Marx himself was content to leave his massive, unpublished diatribe against Stirner “to the gnawing criticism of the rodents.” Blumenfeld explores the possible influence of Stirner on Marx and Engels’ development of the materialist conception of history and presents a series of quotations showing Marx’s most “Stirnerist” moments. How faithfully this represents the “real” Marx is a moot point; this chapter could have easily been titled “My Marx” as a counterpoint to chapter three’s “My Stirner.” Blumenfeld’s formula “Stirner’s egoism is Marx’s communism seen from the first-person singular perspective” is bound to be challenging, if not outrageous, to more than a few people. Blumenfeld praises the short-lived Bay Area pro-situ group For Ourselves, who in their most famous tract, The Right to be Greedy, observed that “The essence of communism is egoism; the essence of egoism is communism. This is the world-changing secret which the world at large still keeps from itself.” Bob Black, in his preface to the pamphlet, lamented that “For Ourselves didn’t try to Marxize Stirner as it Stirnerized Marx: then we might have a better sense of the level at which it just might be possible to harmonize the two great revolutionary amoralists.” Blumenfeld’s book goes a long way toward “Marxizing” Stirner, though I would have to disagree with him when he says “the ‘secret’ of communist egoism has not been taken up since – neither by communists nor individualists, Marxists nor anarchists.” Whether they use the term egoist or not, I feel that this “secret” has indeed been taken up by many post-leftists, ultraleftists, “type three” anarchists, some communizers, and so on. As Blumenfeld concludes, he characterizes the proletariat, in its role as the class of negation, as a creative nothing alongside Stirner’s unique. As the unique both negates and realizes property, the proletariat negates and realizes capital, which amounts to the same activities – insurrection and expropriation. I have no objection to this, though I think the conclusion could be reached without Blumenfeld’s heavy reliance on Marxian categories and analysis. As far as its goal of reconstructing a contemporary, critical, and useful Stirner, the book is successful in spite of its shortcomings, though the reconstructed Stirner is certainly Blumenfeld’s Stirner. Each reader will have to decide how much they wish to appropriate as they construct their own. It’s refreshing to read a Stirner-focused book that neither deliberately misrepresents nor uncritically accepts his ideas. While at times frustrating, the book is never boring, and I highly recommend it to anyone with even a passing interest in Stirner, especially for those also interested in communization theory. Even people who have been grappling with Stirner’s work and its implications for quite some time will find new insights, new challenges, and , one hopes, new weapons on reading it. 1 Some Stirner enthusiasts (notably Jason McQuinn and Wolfi Landstreicher) have questioned the classification of Stirner as a philosopher, saying Stirner’s logic followed to its conclusion necessarily leads to the refusal of philosophy. For the sake of readability and a desire to deal with Blumenfeld’s book on its own terms, I use the words “philosopher”and “philosophy”when he does. 2 For instance, Paul Lafargue’s The Right to Be Lazy, William Morris’s “Useful Work vs Useless Toil,”or the writings of Charles Fourier. 3 For more thorough explorations of the Stirner/Nietzsche relationship, see Welsh’s Max Stirner’s Dialectical Egoism and Nishitani’s The Self-Overcoming of Nihilism.